At Orange County CyberKnife, we’re proud to be one of the premier providers of radiation therapy treatments in the Orange County area. Our flagship treatment is CyberKnife: a revolutionary cancer treatment system that uses high-dose radiation to eliminate cancer cells and tumors. In many patients, CyberKnife produces almost no side effects – but as with any radiation therapy treatment, side effects are possible. If you’re curious to learn the side effects of CyberKnife, we can help. 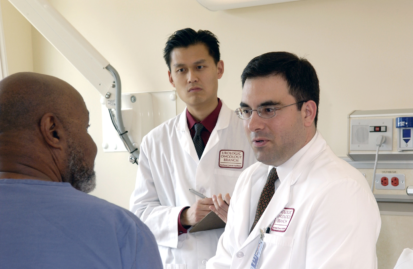 As with any cancer treatments, side effects can vary greatly from patient to patient. The potential side effects of CyberKnife depend on the type of cancer being treated, the amount of radiation required, and the location of the radiation treatment – and they can range between everything from minor skin irritation to serious injury or even death. While these side effects are possible and may range in severity, for most patients, CyberKnife is a remarkably noninvasive treatment. Normally, CyberKnife produces few to no side effects in patients and offers one of the most attractive treatments available. No cancer treatment is without risk – but CyberKnife may offer a convenient, noninvasive treatment for your cancer. If you’re interested in learning more about CyberKnife, contact us today. We’ll schedule a consultation to help you learn more about your condition, how CyberKnife can help, and what your options are. We can’t wait to hear from you, and we look forward to helping you start the road to recovery.